From Lubbock, Texas, Flatland Cavalry proves that the swell of Texas artists bringing the roots back to the music is broad based and generational. Built off of the melody of the fiddle, Flatland Cavalry is one of the most promising up-and-coming bands in Texas, and has garnered comparisons to the Turnpike Troubadours and other top level acts from their songwriting and infectious sound. 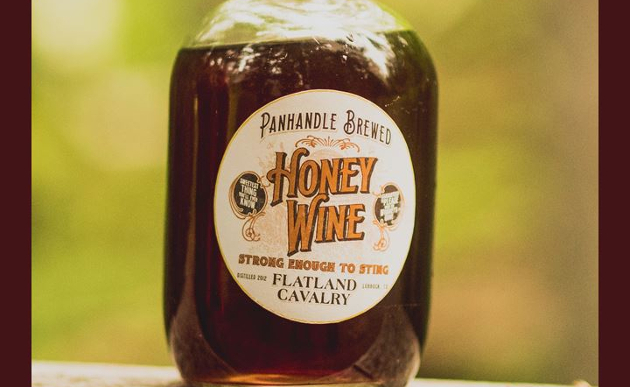 Flatland Cavalry has been in the studio recently working on new music, and ahead of a still-unannounced album, they have released a new song called “Honeywine.” Featuring Kaitlin Butts on harmony vocals, the song was reportedly written after Flatland frontman and Kaitlin beau Cleto Cordero helped polish off a bottle of honey wine at the infamous Larry Joe Taylor Fest in Stephenville, and thought the sweet beverage would make a smart premise for a song. It was recorded with producer Scott Faris at Amusement Park Studios in Lubbock, Texas like the rest of Flatland Cavalry’s upcoming album will be. “Honewine” is only a song about an alcoholic beverage on the surface. Otherwise it’s a nickname, and a term of endearment, and a story about falling in love. The new song comes a month after high profile fiddle player Laura Jane Houle departed Flatland Cavalry for undisclosed reasons. Fiddle player Wesley Hall formerly of Dolly Shine has been seen playing with the band recently. Dolly Shine called it quits back in 2016. Meanwhile Laura Jane has been seen playing with Dalton Domino and others, and has settled in the Texas Hill Country east of Lubbock. She hasn’t made any new permanent gig official as of yet. The nucleus of Flatland Cavalry was first formed in Midland, TX by Cleto Cordero and drummer Jason Albers in 2012. The band’s initial lineup took full form in Lubbock in 2014 with Reid Dillon on guitar, and Jonathan Saenz on bass. They released their debut album Humble Folks in 2016. This band is just not very good. And I’m afraid that treating them like they are lowers the bar for Texas music and means we will never get another Keen, Lyle, or even the remarkably consistent Randy Rogers. Genuinely curious to know how that works. I actually really like them, but agree that they do have a very amateurish sound. It’s hard to put my finger on it. From the first moment I heard these guys, I said that they were the poor man’s Turnpike Troubadours–and I’m completely ok with that as long as they still have a hint of originality. Anything like this locally driven and inspired music from the Texas scene should be celebrated and encouraged in light of the bigger picture of what’s being called “country”. My first impression was Turnpike-Lite. Morgan Street wants a word about that melody too. Eh, it was bound to happen. Sadly, as much as I like the Texas scene, it isn’t all that different from the Nashville scene where you have a lot of artists/bands just chasing whatever the latest trend is. That’s why the minute after guys like RRB and Wade Bowen hit big, you had a TON of copy cat bands putting out varying degrees of quality music. Before that it was the Pat Green/Cory Morrow copycats and so on and so on. Now, that doesn’t mean Flatland Calvary is bad, I don’t think they are in the least. But I do think they need to improve their songwriting and branch out production wise some. That still could happen, they are a very young band, but if they want to take that next leap, I think it needs to happen sooner than later. Hey dipshits, “Honeywine” is called mead. One of my most anticipated albums. Would be a great fall night playlist. I wonder how good this would have been if Laura Jane wouldn’t have been let go. Is Kaitlin as frontman signs of a possible implosion of quality and content?